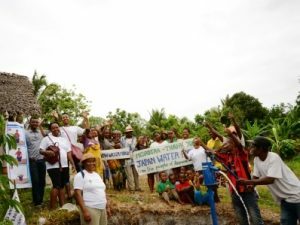 Japan Water Forum (JWF) Fund managed through fees from corporate and individual members and donations is the initiative that supports grass-roots organizations to address water-related issues in developing countries. 2016 is the 12th year since its establishment in 2005. There were 560 applications from 45 countries for JWF Fund 2016 calling. As the result of selection, we have decided to provide grants for 6 projects from 5 countries. 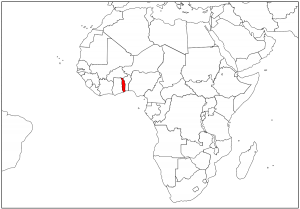 Water and sanitation in the area is in a difficult situation because there is neither a water supply system nor a sanitation facility. People fetch water from ponds and defecate in the open. One particular problem of the area is that the groundwater level is to the same as the ground surface. When it rains, water flows into yards roads and open aqua privy. Contaminated water are soaked into groundwater and it causes pollution of groundwater as well as water points. The environment becomes the breeding ground for diseases to spread easily. The lack of access to clean drinking water and proper sanitation facility creates a significant amount of illnesses and deaths every year. 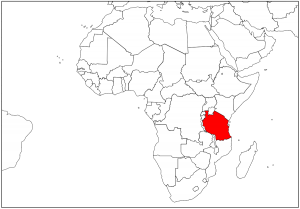 The area had cholera epidemics several times which caused more suffering and deaths among women and children who are the most affected. 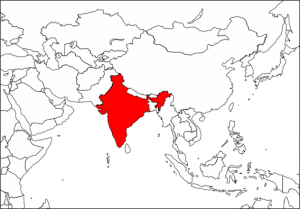 Exposed groundwater sources are contaminated in many places and there is no safe source of water for people to get clean water for their daily use. Because of these activities, the people in the Lavié-Apedome community could make use of clean water and a sanitation facility so that reduction of diseases and deaths caused by unhealthy water and environment can be expected. I and my younger brother live with our grand-mother. Before the project, I used to wake up early every morning, walk a long distance to fetch water from the pond. Every day, I arrived at school late and tired. 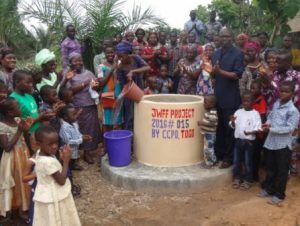 But now that we got a well, collecting water is no more a burden. Water is available at any time. Indeed, this well is a special gift to me! Thanks to CCPD and JWF! Last year around this time, a dozen of students dropped out. They were irregular to school due to sickness or always came late and felt asleep in class. 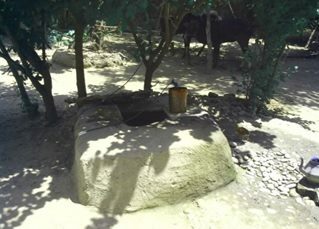 Now, with this well, parents do not keep their children at home for collecting water, especially girls. As a result, there is an improvement in school attendance. I was trained as a health promoter and am educating students about personal hygiene and how to keep the surrounding of the school and homes clean. I am so grateful to JWF for their support. May JWF continue to grant CCPD support for other communities’ sake! Access to trainings, improved sanitation and safe and affordable water provides the chance of broader future opportunities to us. Working with Pastor Yawo, CCPD Director, being a volunteer was so exciting. I have so much been empowered. May God bless CCPD! Long live JWF! According to the result of the assessment survey conducted on 5th July 2016, the community does not have adequate access to safe drinking water. Although there are open wells and electric pump dug wells for the community, the depth (20 to 30 feet) of wells are not deep enough to get safe water. HDPG survey team interviewed 100 members of the community and found out that the non-availability of drinking water to nearly 60 % of the village population is a potential threat for water borne diseases. The proposed project will provide them the facility to use clean drinking water from the hand pumps dug up to 80 feet. 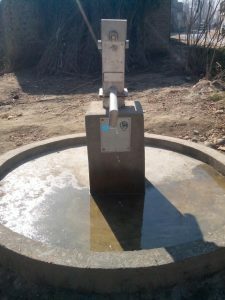 Because of these activities, the residents of Tarkha village could drink safe drinking water so that reduction of diseases caused by tainted water can be expected. People of the village appreciated and acknowledged JWF’s financial support to address their clean drinking water issue and were grateful to HDPG for its efforts to highlight the problems and their possible solutions. This project greatly contributed to empower the local communities to create in theme the scene of ownership. This project provided HDPG the opportunity to further strengthen its WASH work in the area and the office bearers benefitted on account of enhancing their skills in this sector. The difficulty to access water and the low per-capita income of the district have impacted the sanitation conditions among the rural population including the schools, where existing sanitation facilities were in a deplorable condition and cannot be used by students. 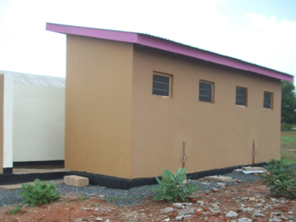 Poor financial resources have prevented rehabilitation of old broken sanitation structures. Students could not use the toilets because of lacking water. A lack of funds and water connection has led to its long-term neglect and excessive damage. This causes absenteeism, especially of girls. Girls had to go home to use toilets and the boys defecated in the open. Because of these activities, the school students and teachers could make use of water throughout the year so that improvement of their leaning environment can be expected. 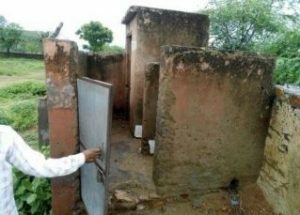 Students stopped open defecation and started using the toilets. Students started the practice of washing hands, this will lead to reduced incidences of diseases among them. Students are now coming to school more regularly. The school now looks clean surrounded by beautiful setting. The soak pit for waste water will help recharging the ground water instead of just going waste. The work done by the organization in our school – of refurbishing the toilets, constructing hand washing stations and drinking water facility, has really helped the students and their attendance. The students regularly take part in the group hand washing session. The painting of hand washing steps has helped the students in properly washing their hands. The entire program activities have helped make the school look beautiful. The students use the toilets everyday now. 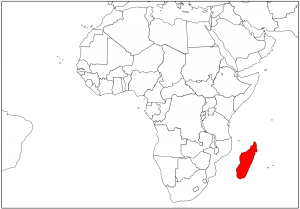 Madagascar has approximately 22 million populations, with the majority, which represent 80% of the population, living in rural areas, where the public services and facilities are almost inexistent or to the minimum. 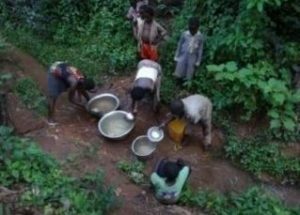 In the village of Ampandroantsiriry, due to a lack of access to clean water for the local people, especially women and children have to walk hundreds meters from their village to nearby streams to wash their dishes and clothes, and fetch water. The stream is used by the local community as main source of water for drinking and cooking. 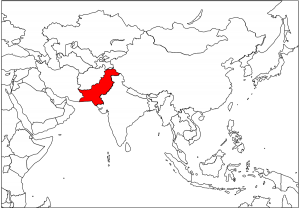 On the other hand, addition to washing dishes and clothes, the majorities of the communities’ members defecate in the surrounding areas since there is no toilet facility. As a result the local community is exposed to infections such as cholera, diarrhea, and typhoid. Furthermore, there is a dumping site few hundred meters upstream which pollutes water stream. Because of these activities, the residents of the Ampandroantsiriry’ community could drink safe drinking water so that reduction of diseases caused by tainted water can be expected. Many thanks for bringing water in our village. It is helping us a lot because it is very difficult for us to get clean water. I am getting old and it is becoming burden to me to walk to the stream every time, and the children lose lots of their daily time fetching water. Now that we have the pump near our home we are very happy, as we do not lose time going far away anymore. People are joining us in using the pump more and more and participating in paying the pump maintenance fee. Many thanks for showing us how to use Sur’eau. Before that, I was afraid to use it because I thought it could give me stomach ache when mixed with the water from the river, in addition I wasn’t sure on how many days I could keep the water after they are mixed with Sur’ eau. Now all my questions were answered and thanks to you for organizing this in Ampandroantsiriry. Ndenyende village with more than 3,800 people has one primary school with more than 450 pupils of 1st through7th grade and 10 teachers. The village and the school depend their water sources from rivers located 5 to 7 kilometers north (Nanyungu river) and south (Matikwili river). There is no fresh water at school to drink and wash hands. Few pupils carry plastic bottles for drinking water from their homes. Even the bottled water is raw and unboiled. The risk of getting waterborne diseases is very high for the pupils, which is also a main cause of school absenteeism. The school does not have any safe sanitation facility. 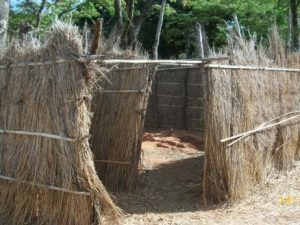 Although there were grass-fenced toilets, using the toilets in the rainy season was danger to the pupils. Lack of water prevented them from washing hands after using the toilets. There was an urgent need to construct a rainwater harvesting infrastructure and a safe sanitation facility at school. Because of these activities, the school pupils and teachers could make use of proper sanitation facilities so that improvement of their leaning environment and increase of school attendance can be expected. TEMACA Tanzania thanks JWFF for the grant of fund and partnership to support the project. There are 18 small and marginal farmers who have their agriculture field of 17.5 acres growing millets, vegetables and pulses during the rainy season. In addition to the shape of land sloped and undulating, due to torrential rains with intensity of 150 to 200 mm per hour, heavy runoff of rainwater causes soil erosion and damages crops of the farmers almost every year. 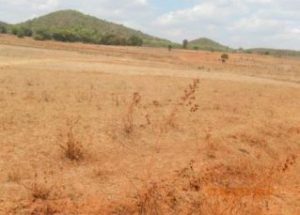 Contrarily, with the end of monsoon rains, the lands dry up as the moisture retention capacity of the soil is very low. Due to the undulating terrain, the land is unsuitable for agriculture. Over the years, due to erosion of topsoil and infertility of land, the productivity of the land has been declining. Therefore, the farmers who own the lands are reluctant to grow crops even during the rainy season, and rather they want to work as wage laborers in the nearest town to support their living. Some of the farmers also earn their living by selling firewood and charcoals, which causes further forest destruction. Because of these activities, it became possible for the target farmers to cultivate crops throughout the year so that their stable earnings can be expected. Owing to the implementation of the project, I got 21-person days of work. Though I contributed 20% of my labor cost, I could get work in my village, otherwise I would have to go to the town to look for some work. Now I will be able to grow crops throughout the year as soil moisture of my land will be improved. 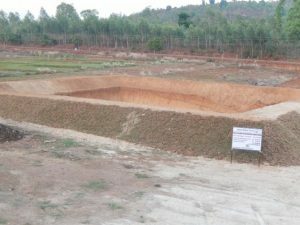 In addition to the fact that our land is protected from soil erosion, now the rain water harvesting structure can be used by the User Group for fish farming, which will be a source of additional income for the farmers. 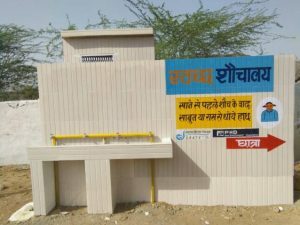 The project made the villagers aware of the importance of rain water harvesting and conservation, which also will be expanded to nearby villages.